US Open Update: How Did US Contenders Fair on Day 1? 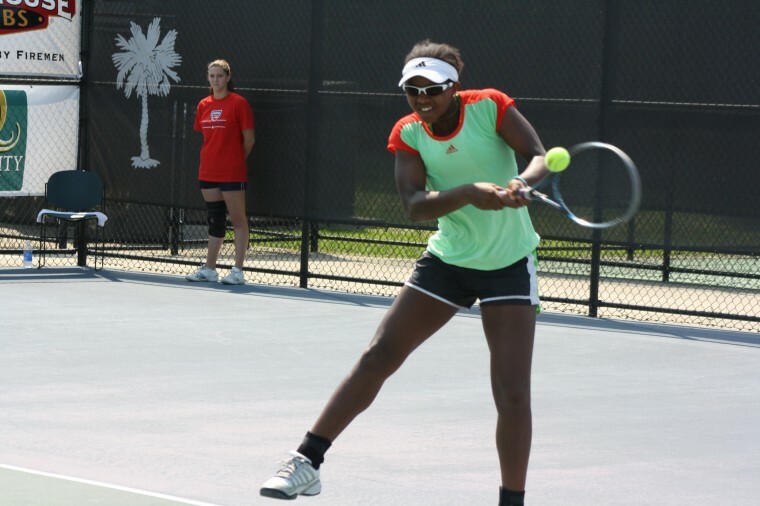 16-year-old tennis sensation, Victoria Duval, makes debut at US Open. *The US Open starts with 128 men and 128 women from the professional tennis circuit all campaigning to take home prestigious Grand Slam hardware. But only two can win … one man and one woman. The background stories and countries of origin, skill levels and age ranges, and ethnicities vary greatly, but there are several US players – some known, some “un” – that are in this 2012 mix of hungry US Open contenders. With that, we’ll follow our “homecountry heroes” through to the end of the tournament until only those aforementioned two remain standing, updating you with their stories of triumph and defeat, as they scratch and claw to reach the finish line of the last major of the year. Hometown favorite, James Blake, was first out of the starting blocks for US contenders and found his groove pretty early on at the US Open. Something about the home crowd boosts his will to win, which led him to a 4-set victory (7-5 6-2 3-6 6-3 ) over Lukas Lacko (SVK). Atlanta native, Donald Young, just barely getting over a 21-match losing streak, unfortunately drew the GOAT of tennis, Roger Federer, and never stood a chance of progressing past the first round of the tourney. He lost in straight sets (6-3 6-2 6-4 ) in the last night match on Arthur Ashe stadium. Mardy Fish downed Japan’s Go Soeda – who should gets points just for his cool name – in straight sets (7-6(3) 7-6(2) 6-3 ), continuing his late career surge as on of the top ranked Americans in action. Not a bad performance for a 30-something, fresh off a heart surgery scare this summer. Varvara Lepchenko, a newly minted American, was pushed to the wire, but prevailed in straight sets against Mathilde Johansson (FRA) 6-3 3-6 7-5. Victoria Duval, half her opening round opponent’s age at a squeaky-voiced 16-year-of-age, played her first tour level match ever, but was just as unlucky as Donald Young in her first round fate. She was lucky in that her first tour match was played on the greatest stadium in all of tennis, Arthur Ashe Stadium, during primetime, but unlucky in that she drew a retiring 3-time US Open champion, Kim Clijsters, who’s on a mission to go out with a bang. The Memphis resident made a great showing – even coming back to level the match from a 3 games to love deficit with the crowd cheering her on, but absolutely no cigar. She ultimately went down 6-3 6-1. In an all American matchup, Tim Smyczek took out Bobby Reynolds 1-6 6-4 6-2 4-6 6-4. 2010 US Open cinderella story, Melanie Oudin, crumbled under the weight of Czech Lucie Safarova (6-4 6-0). Jack Sock defeated Florian Mayer (GER), 6-2 6-3 3-2 (Ret.). Michael Russell fell to human backboard, Gilles Simon (FRA), 7-6(4) 3-6 5-7 6-4 6-1. Nicole Gibbs lost to Alize Cornet (FRA), 7-5 6-3. Julia Cohen was taken out by Anastasia Rodionova (AUS), 6-3 6-0. Robby Ginepri was defeated by Albert Ramos (ESP), 6-7(3) 7-5 6-4 6-0. Not the best day at the office, but the US is progressing toward the second round with still its fair share of very strong hopefuls. For more results check here.